Hough was born at Tribes Hill, Montgommery County, New York, on October 24, 1836. He studied at Union College, Schenectady. 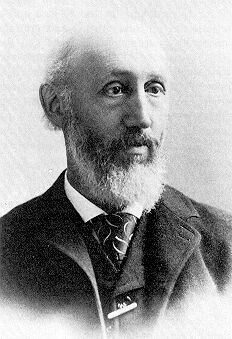 His astronomical career started in 1858 as assistent at Harvard Observatory. A year later he became assistent professor at Cincinnati Observatory. 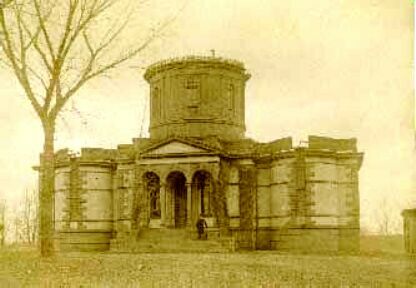 After another year he went to Dudley Observatory, Albany (founded in 1852; see picture) and became its director in 1862. He stayed there for 14 years until 1874. 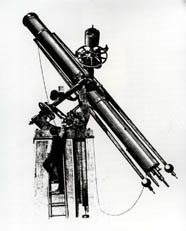 The main instrument was a 13" Fitz refractor (f/12.5), erected in 1860 (see picture). An interval of five years was devoted to commercial pursuits, before he continues his astronomical work in 1879 assuming the directorship of the Dearborn Observatory, Chicago (the first director was Truman H. Safford). Hough, becoming indubted by his predecessor Sherbourne W. Burnham, started measuring a large number of double stars and also began an extensive micrometric study of the Jovian system (getting his nickname "Jupiter"). 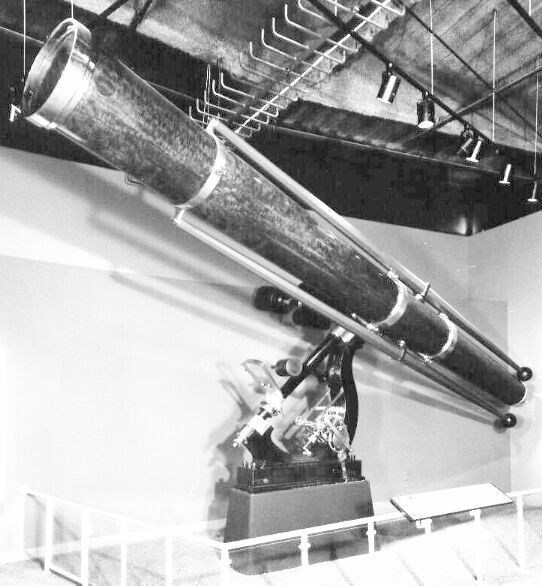 Dearborn Observatory (founded in 1862), at that time located at 3400 South Cottage Grove, Chicago (see picture), was equipped with a large 18.5" refractor from Alvan Clark & Sons (see picture). 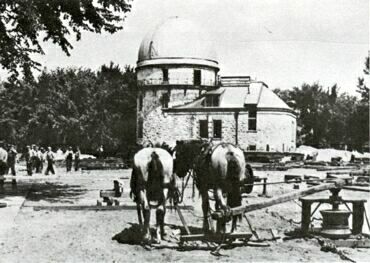 In 1887 the observatory was moved to Evanston, Illinois. There Hough became also Professor of Astronomy in Northwestern University. He was director of the observatory unil his death on January 1, 1909. 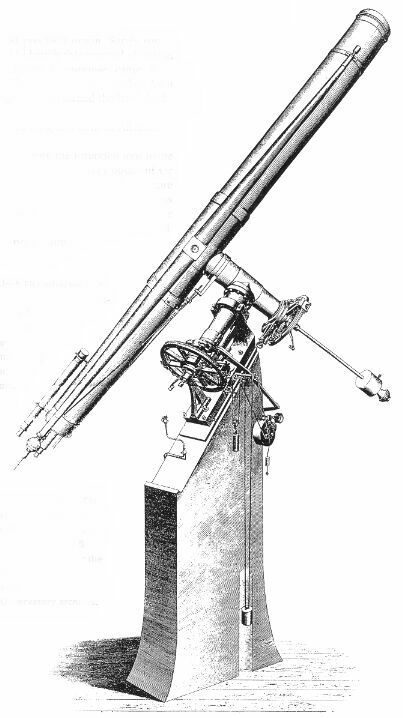 At his time at Dearborn Observatory, Chicago, Hough discovered 4 NGC-objects with the 18.5" refractor; see: Hough, G. W., New nebulae, AN 106, 63 (1883). Two other objects listed there (NGC 5165, NGC 5179) were found by Burnham. NGC 5511 in Bootes led to some discussion concerning its identity. The case was investigated by H. Corwin (using also Tempel's observations). Hough's object is most likely the western component (type S0) of a pair of galaxies (VV 299) and catalogued as CGCG 74-141 (15.4 mag). The eastern component, a late type spiral (CGCG 74-142), is nominally brighter (15.0 mag) but has a lower surface brightness. First Dudley Observatory on Dudley Heights in Albany, New York (built 1854). The dome houses the 13" Fitz refractor. 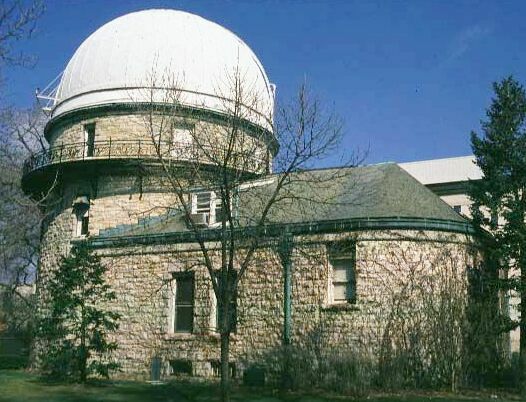 New location of Dearborn Observatory at Nortwestern University, Evanston, Illinois (dedicated 1889).